Things to do in Kochi City, Japan - How to spend a day here! There’s a festival held each year in Kochi prefecture that climaxes with a competition to see who can drink sake the fastest. Men get given 1.8 litres of sake in a big cup and women get 0.9 litres. How long do you think it would take to drink that much of the rice wine? Well, the fastest time for the men is 12.5 second and for the women it’s 10.8 seconds. If somebody wins the competition at the Dorome Festival for three years in a row, they get the title “The Doctor of Drinking”. It’s definitely a source of pride here. You see, Kochi has a reputation for enjoying a drink or two. And they’re not ashamed to show it. Perhaps this goes some way to explaining why Kochi is also known for having some of the friendliest people in Japan. In a country where shyness can often inhibit conversations with strangers, it’s refreshing to find a region where the locals love to have a chat. I find this conversation easily one evening at the Hirome Market in Kochi City. 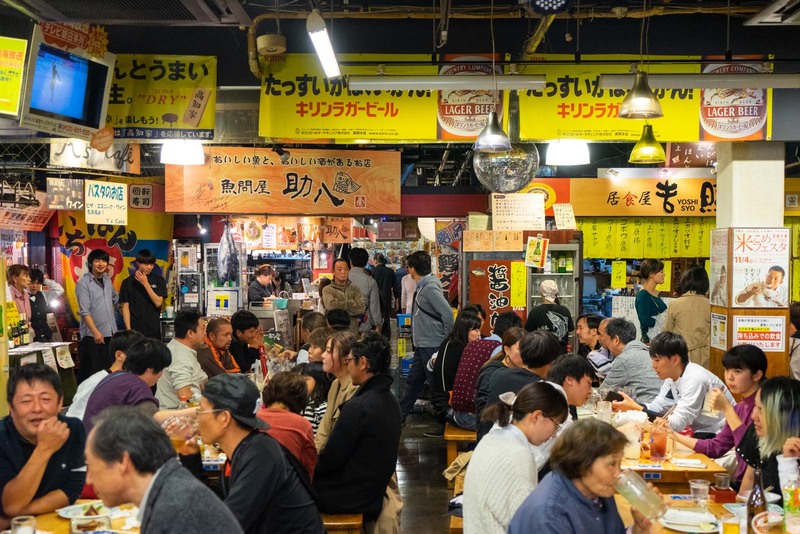 This large indoor market building has about 65 different food stalls and bars and is absolutely packed with locals eat, drinking… and talking. They talk to their friends, they talk to the people next to them in Japanese, and they even try to talk to a tourist like me in English. There’s an animated atmosphere that makes you feel instantly welcome – the people of Kochi true to their reputation. But before you get here in the evening, I think you need to earn a drink. A night market always feels more worthwhile after a busy day of sightseeing – and there’s plenty to do here in Kochi city. Luckily there’s an easy way to explore all the highlights and I’m going to offer some tips on the best way to spend a day in Kochi city. The good people of Kochi have made it easy for visitors to their city by putting together a tourist bus called the My-Yu Bus and a transport pass that includes it and the local trams. They will take you to everywhere you want to go. You can buy the pass at the tourist information office at the main entrance to the JR train station in Kochi City. A one day pass is 1000 yen for Japanese people but only 500 yen (US$4.50) for foreign tourists, if you show your passport. You can see a map and more information here. But I would also like to share my tips for how to use the My-Yu Bus pass for the day. The first stop is Kochi Castle. You can use the transport pass to catch the tram here from the JR train station – or it’s just a 20 minute walk. This is one of the most important castles in Japan. 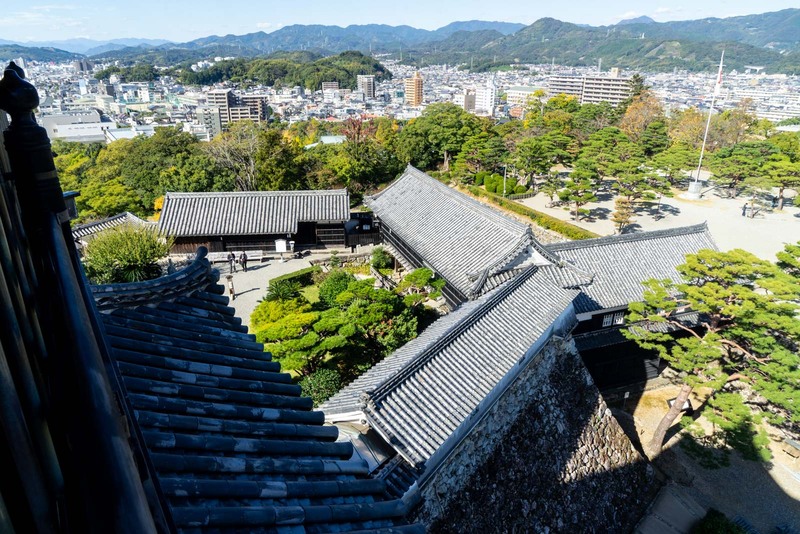 There are only 12 in the whole country that are considered to be original and intact – and Kochi Castle is one of them. It was built between 1601 and 1611 and is an imposing and impressive complex. Coming in from the street, you’ll pass through large defensive gates before climbing up a hill to the main building at the peak. This main building is interesting because, unlike many other Japanese castles, it was used as both a residence and for military purposes. So as you walk through it, you’ll see comfortable living rooms and manicured gardens, plus a five-level tower where soldiers would be able to defend from. This is one of the best things to do in Kochi City. The grounds are free to explore but it’s worth paying the entrance to see the main building and climb up the tower for the fantastic views. Across the road is the Kochi Castle Museum of History. It’s a great building but it’s probably only worth going inside if you have a very specific interest in the topic because most of the exhibitions are only in Japanese. Just near Kochi Castle is a cute little shrine that you won’t find in most guidebooks but I think it worth stopping at. The reason I find it interesting is because it’s full of chickens! 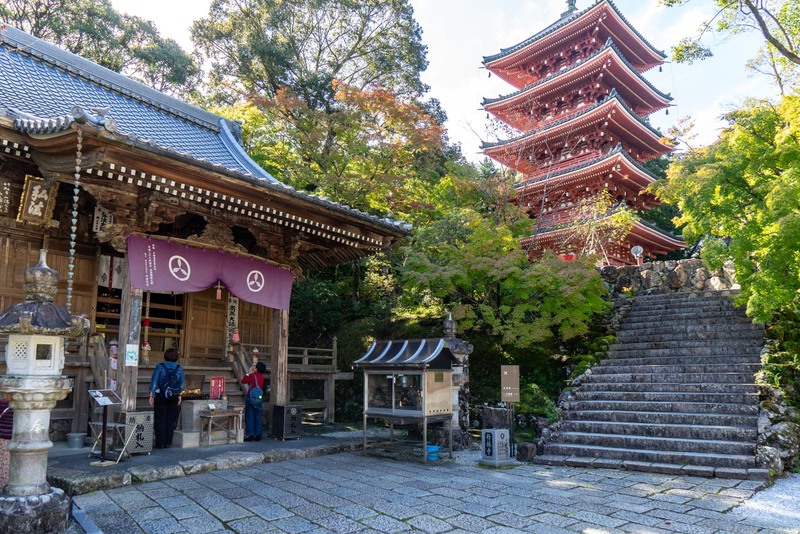 You’ll notice that this shrine is dedicated to chickens (or, more accurately, the rooster) and you’ll see images of them in statues and other design elements. But I think it’s the words scratching around and defending their territory that are particularly fun! 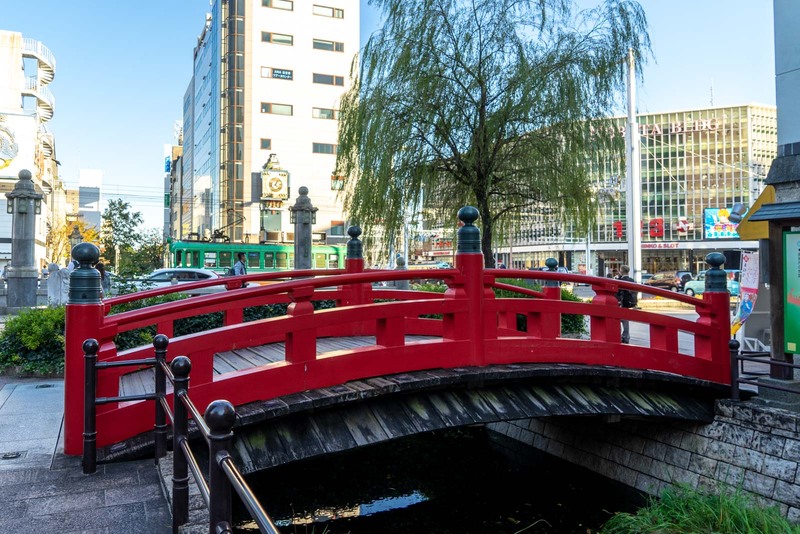 One of the most famous landmarks of Kochi City is Harimayabashi, which is a small red bridge (that is now rarely used because the main pedestrian path runs just metres away. It’s not that visually spectacular and it’s only reason famous because of a legend that goes along with it that a monk in the 19th century fell in love with a woman (which was forbidden) and they were caught here and banished. However, the bridge is at the crossroads of the two tram lines and close to the My-Yu bus stop that you’ll want to use, so you might as well have a look at it. Of more interest is probably the mechanical clock on the opposite side of the street that puts on a very impressive sound and movement show at the top of the hour. If you catch the My-Yu bus from the Harimayabashi intersection, the first place I recommend getting off is the Godaisan Observatory. Don’t be confused by the name (as I was originally). 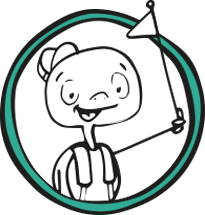 It is not a telescope – by ‘observatory’, they mean a viewpoint. And it’s an impressive viewpoint! From here you get a perfect vista down over Kochi city. You’ll see how it fits amongst the mountains with the waterways around it. 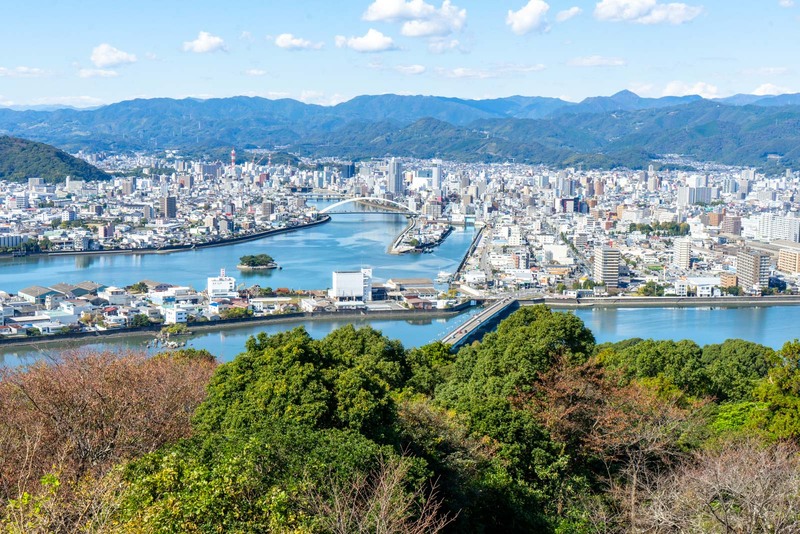 It really is a stunning part of Shikoku! There is a cafe with good views here too, if you’re ready for a coffee or a snack. Otherwise walk down the hill to Chikurin-ji Temple. In some of my previous stories about Shikoku, I have mentioned a famous pilgrimage that goes to 88 Buddhist temples. Well, Chikurin-ji is one of them (officially it’s number 31 if you’re doing them in the correct order). It’s a charming temple complex that was founded in the 8th century and has important Buddhist scholarly scrolls and statues in its treasure hall. One of the main highlights, though, is the five-story pagoda that sits on an elevated part of the site. There are some peaceful gardens and a few other things to see here. You’ll probably notice some pilgrims walking through, with their white shirts and conical hats. It’s an interesting way to see a bit of this important religious journey. Next to the temple is an entrance to the Makino Botanical Garden. It was opened in 1958 to honour local (but world renowned) botanist Tomitaro Makino. 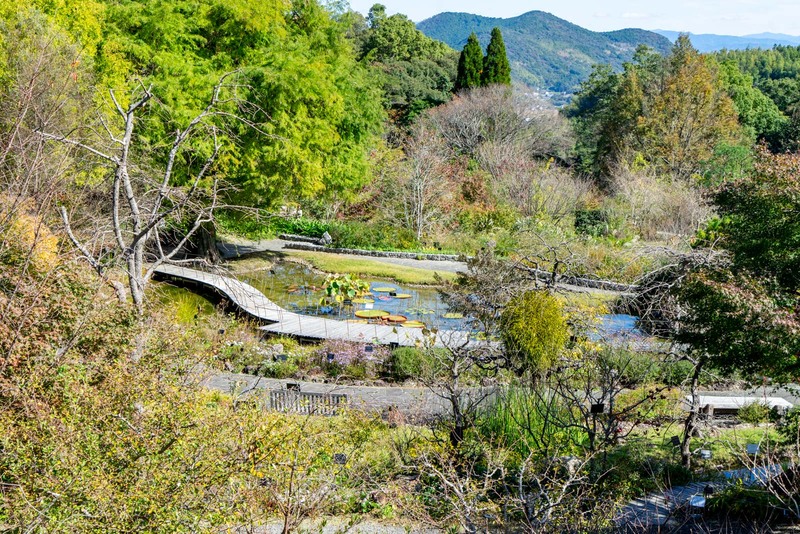 It is one of the most comprehensive botanical gardens in Japan and is well worth a visit. One of the highlights is the large greenhouse that has hundreds of tropical plants in it. But as you wander through the garden, you’ll find other sections that are dedicated to different regions or styles. There is a garden of medicinal plants, a flower garden, and a hall with exhibitions. In total, there are about 3000 species of plants here. You can walk through and then leave from the exit on the other side and catch the My-Yu bus from there. The bus will take you to its final stop, Katsurahama, which is a delightful area on the outskirts of Kochi city. The main feature here is the beach which is a lovely spot to have a rest on a sunny day. At one end of the beach is a picturesque shrine up on a hill, and at the other end is the enormous 14 metre statue of the famous historical figure Sakamoto Ryoma. There is also a shopping area here which is good for souvenirs. There are restaurants above the shops so, if you’re hungry, this may be a good chance to get something to eat. From the bus stop near the shops, you can catch the express bus back into the centre of Kochi city. 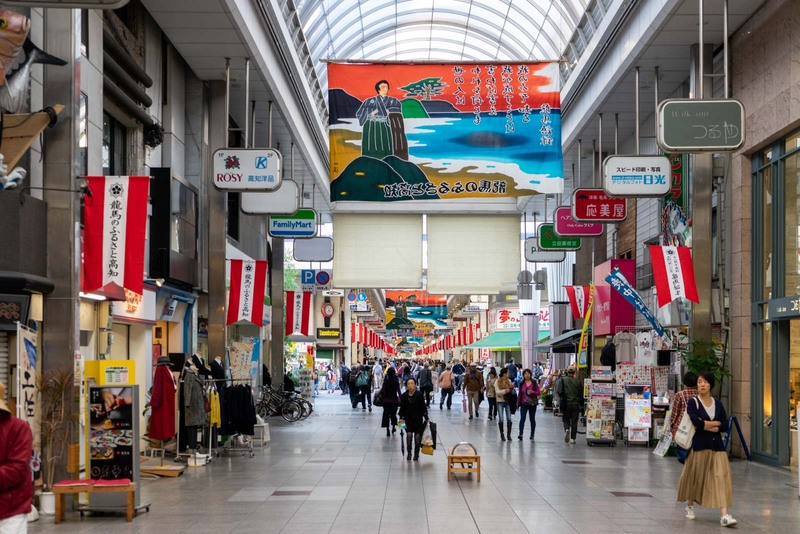 Back in the centre of Kochi, you may be interested in the Obiyamachi Shopping Arcade. This large arcade has a series of streets that are undercover and pedestrianised so you can easily explore what’s on offer. There’s a large variety of shops with a whole range of things for sale. There are also lots of restaurants and cafes. And that brings us back to Hirome Market, at the western end of Obiyamachi Shopping Arcade. By now I think you’ve definitely earned your drink and something to eat. I would recommend getting a seat in the general area and then choosing a selection of food and drink from different stalls in the market. 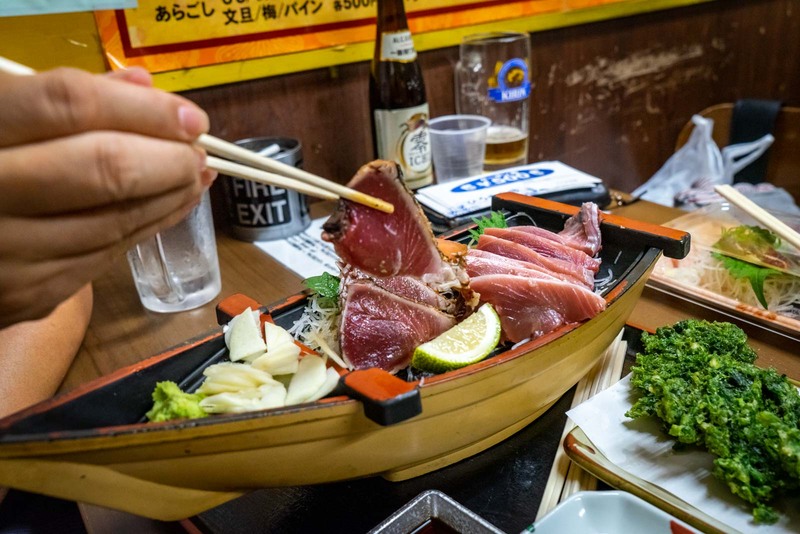 One of the local delicacies here that you must try is called ‘katsuo no tataki’ and is pieces of bonito fish that migrate past Kochi in the warmer months. It is usually slightly seared on the outside – and is delicious! You can also try some of the local sake, which Kochi is very proud of. As you do, though, please don’t try to challenge the winners of the annual sake-drinking competition. Even if you think you can handle a litre or so, there’s no point drinking it in just ten seconds. You won’t get to enjoy it nearly enough – and enjoying the evening is one of the best things about Kochi! Time Travel Turtle was supported by Visit Kochi but the opinions, over-written descriptions and bad jokes are his own. 12.5 seconds?! That’s amazing! I can’t beat that. haha. I’d love to go check out Kochi Castle. 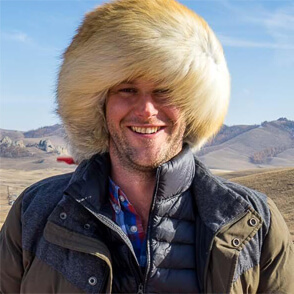 Your photos look amazing! I had never heard of Kochi Japan, I knew only the one in India. This looks like a great place to visit though! I especially love the look of the castle! The right combination of culture, heritage and modernization! Loved the details. Great! Very informational …got exactly what I was looking for. Loved it. Perfect ambiance for a great escape and a holiday experience.